Hours every day - all week - all year - 10 - 5 (year round) and 9-7 (summer). Our Orleans Market is both a wholesale and retail facility, and open to our customers year round. Fresh product is delivered to our facility every morning and available both to customers in the store, as well as delivered to some of the finest restaurants the Cape has to offer. Located at the old ''Captain Elmer's: facility, and across from the Orleans Farmer's Market, get your fresh produce on Saturday mornings, and pick up your fresh fish across the street. 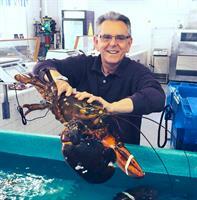 Lobster comes in all sizes, and all local from guys on Cape Cod Bay and the Backside. 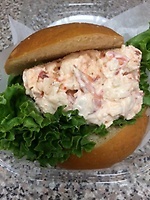 Stop in at the new store or phone your orders in ahead 508-255-7221. 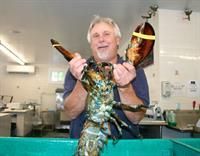 Fresh Live Lobsters Cooked Free! We also have prepared foods! Our fish is so fresh you could slap it!